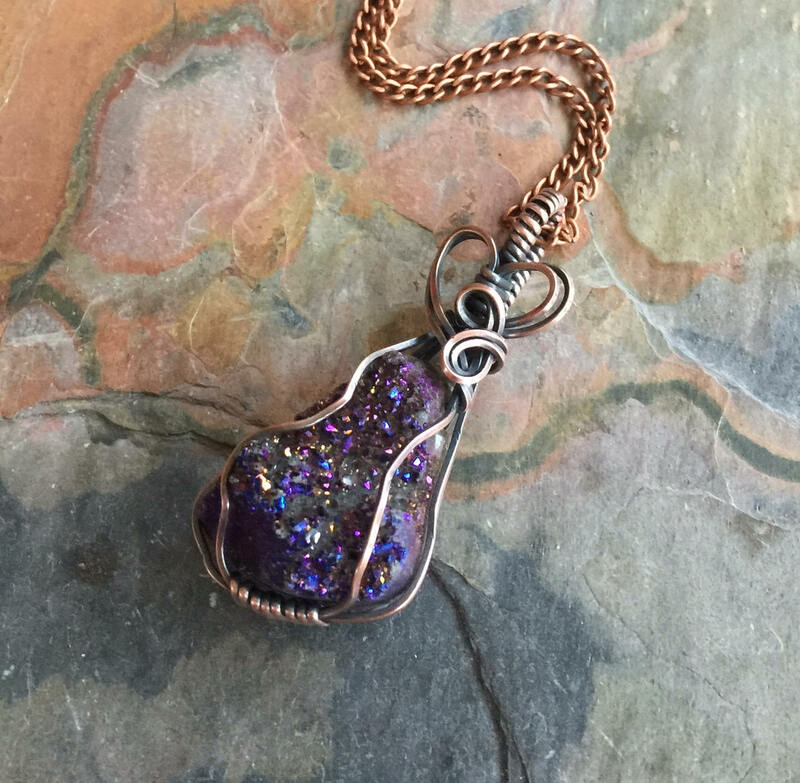 This beautiful Titanium Druzy is wire wrapped with antiqued copper wires. The pendant hammered & forged to give strength & texture to bring out the stunning details of the finished pendant. 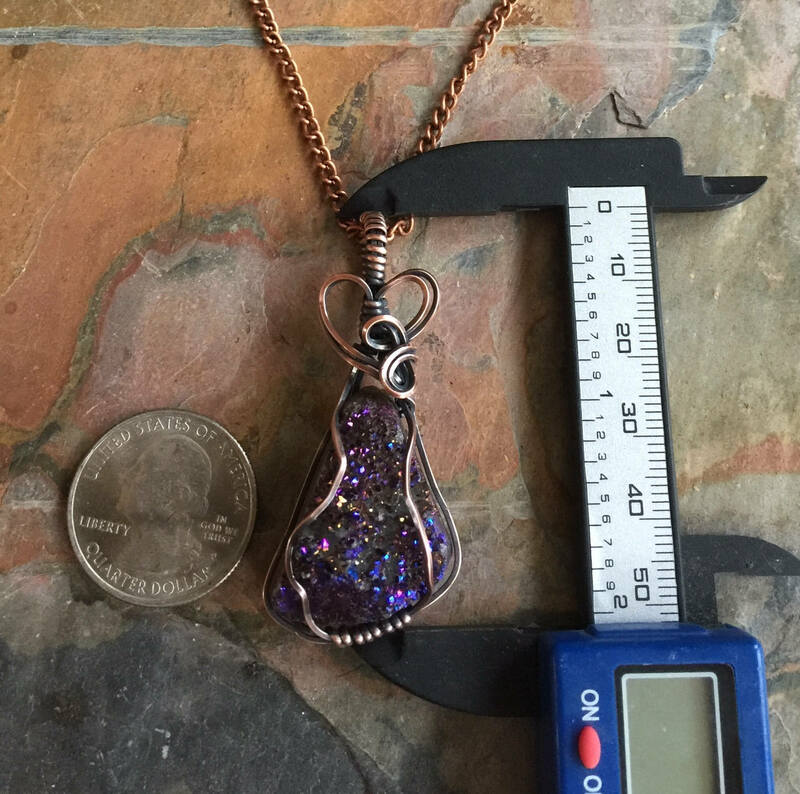 *The finished pendant measures 2.0 inch from top of the bail to the bottom of the pendant, .90 inch across., .55 inch in thickness. 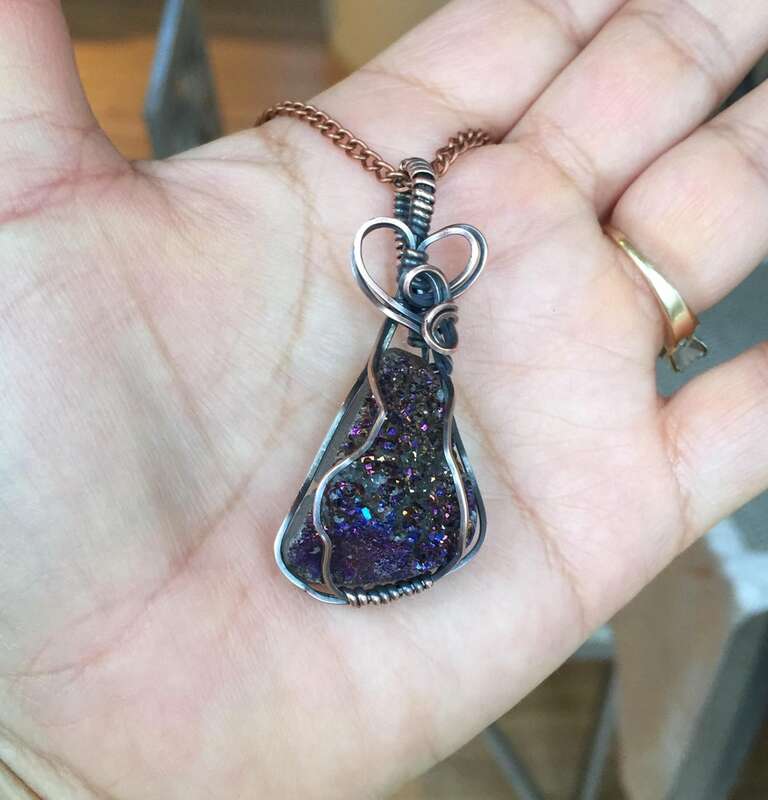 The pendant comes in an antiqued copper chain. 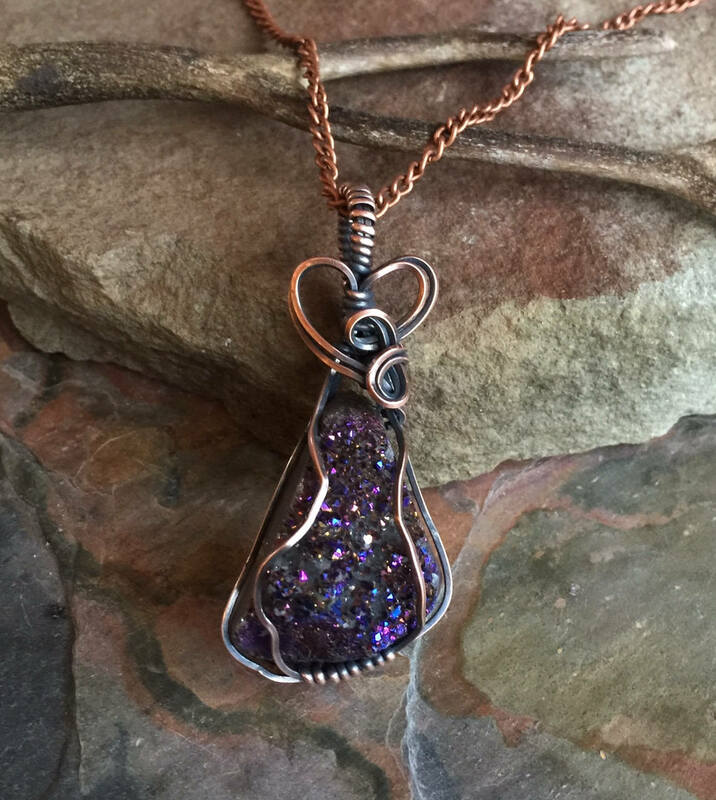 *About DRUZY: Druzy gets its name from the word “druse,” which refers to a rock surface (usually a cavity) covered with tiny crystals, such as are found inside geodes or in larger ... 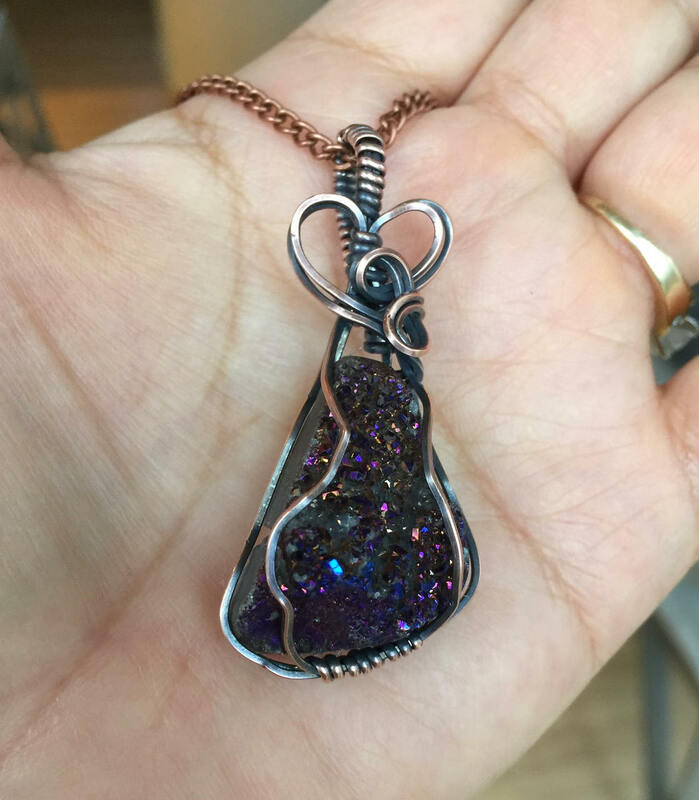 These gemstones are mostly covered with titanium, providing it an impressive and dazzling finish. 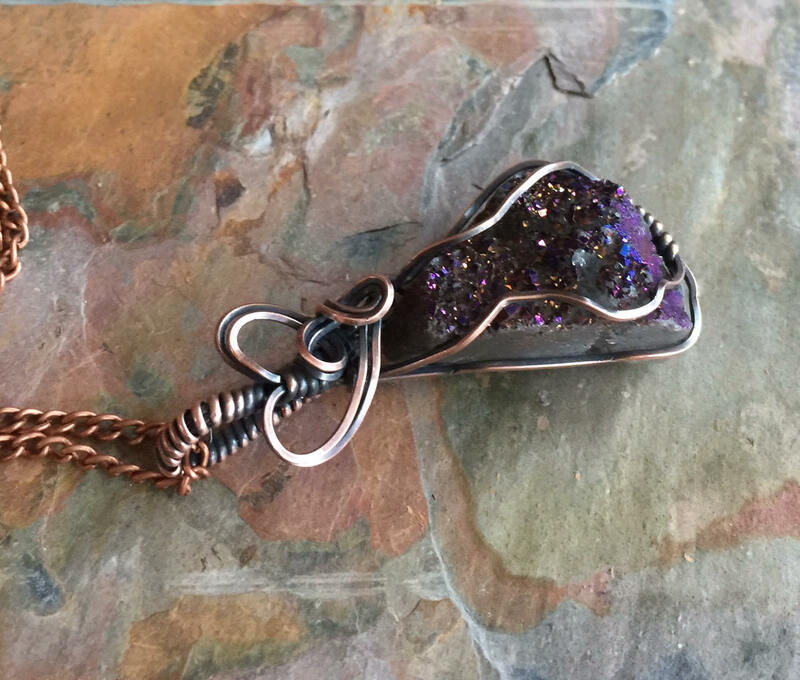 Druzy Quartz can grow over agate or any other colored matrix.